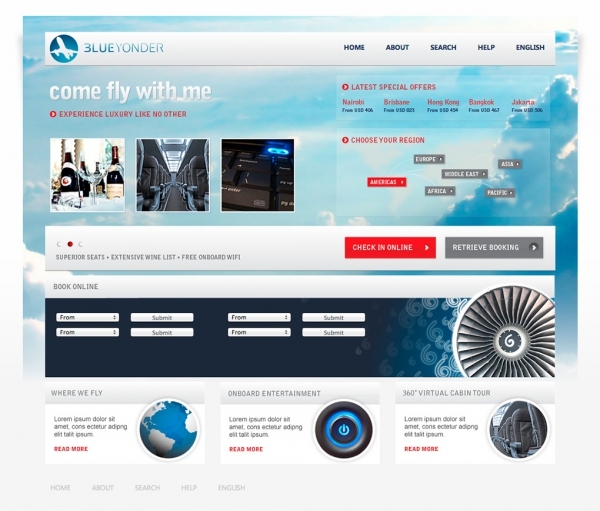 This is an html site for the fictitious airline, BlueYonder, to be used for demonstrations of Visual Studio 2010. The site was mostly designed in Illustrator, with bitmaps, effects and slicing done in Photoshop. We wrote the html and css by hand using Expression Web, which is actually not a bad text editor. You can see the html version of the site here.